53 posts categorized "Review (Books, Movies, , ,)"
The topic of this entry isn't what you call millennium, but the name of a novel that was written by Stieg Larsson. He seemed to have passed away before knowing of his success with his novel becoming the best seller in the world. This is a trilogy, but the last volume alluded to a follow-up story. I'm very sorry not to be able to read the next one. 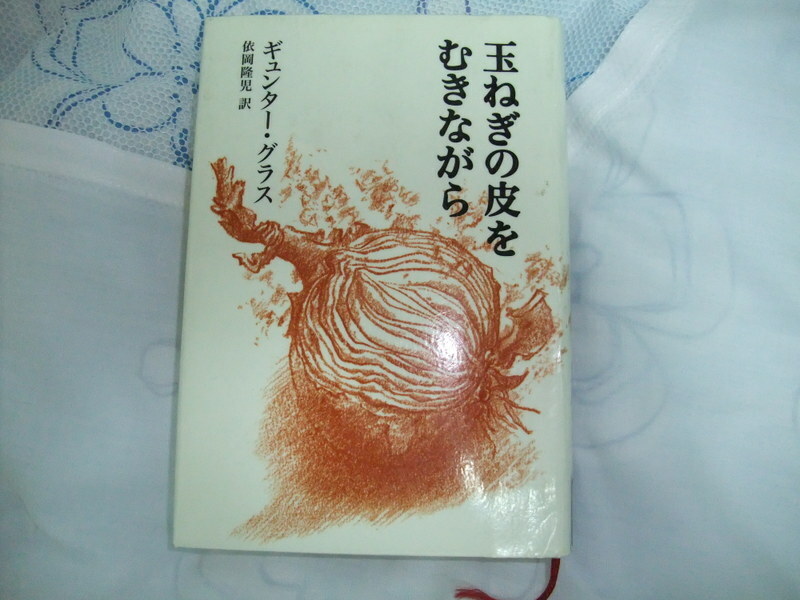 This novel was the most interesting one in my life. I spread out the map of Sweden where the novel was staged and read it through. 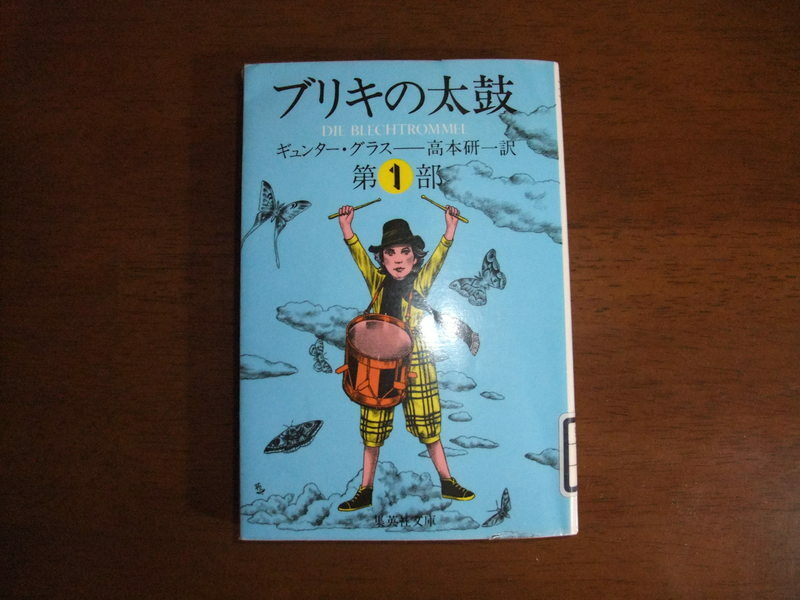 I devoted myself to this novel for a few days, and could do only the minimum stuff. I told the owner of the dog at that time that it was okay because the jacket was old enough to be thrown away. It used to cost alot, but now it was not expensive though I'd like to say, "I really liked it!" I knew such a complaint was nonsense. After that, I bought a new one a few weeks ago. I thought I wouldn't have a chance to climb up difficult mountains. I chose the second best class rain jacket. The next week, an insurance agent came to me and told me that the owner of the dog really hoped to compensate me for it. 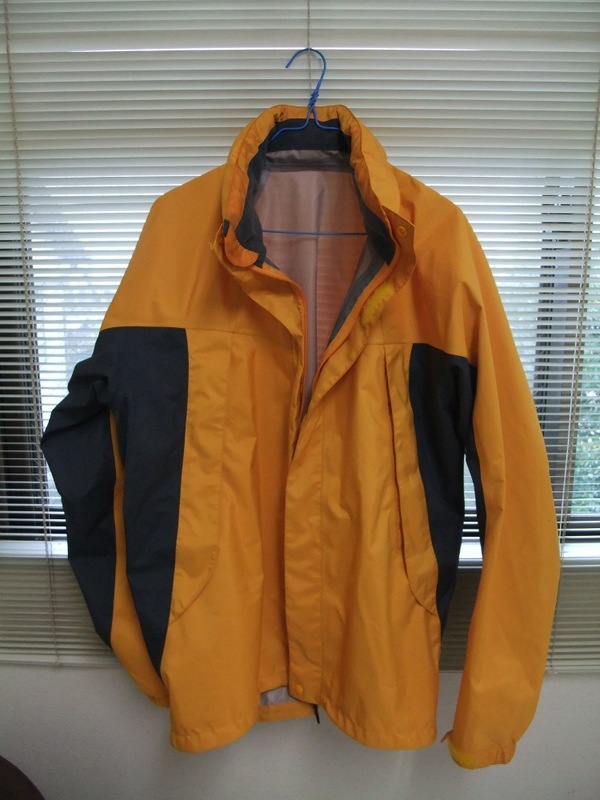 Eventually I got half of the money spent on the initial cost of a twenty year old jacket. The old torn jacket turned into some money. It might be kind of lucky. It was raining outside at noon and I decided to test it today. 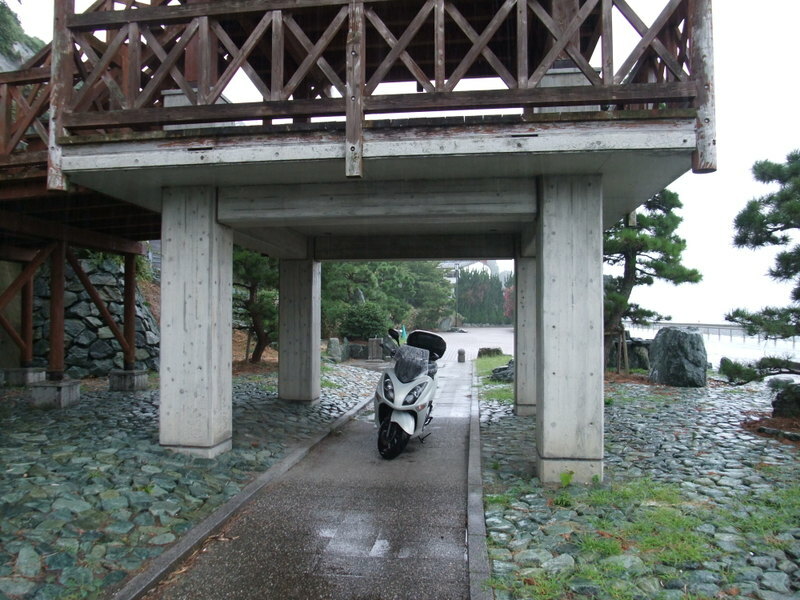 The picture is the jacket and a roadside park on the coast line near my hometown, where I'm taking a rest. The result was very nice and more than I expected. The development of this field is also wonderful. I watched a movie that gave me a pleasant cooling sensation. It was just like I drank an icy cold water in the scorching desert. The casting was wonderful. The actor who was supporting was Gene Hackman, who is one of my favorite actors. I wrote some lines down because those were pregnant with hidden meanings. I'm using these phrases in this blog to fully understand and memorize it. Every phrase in this poem is pregnant with meanings. The title, "Overboard" is quite new to me and I looked it up in my dictionary. What it means is that something goes down into water. It is the title of a movie, starring Goldie Hawn. 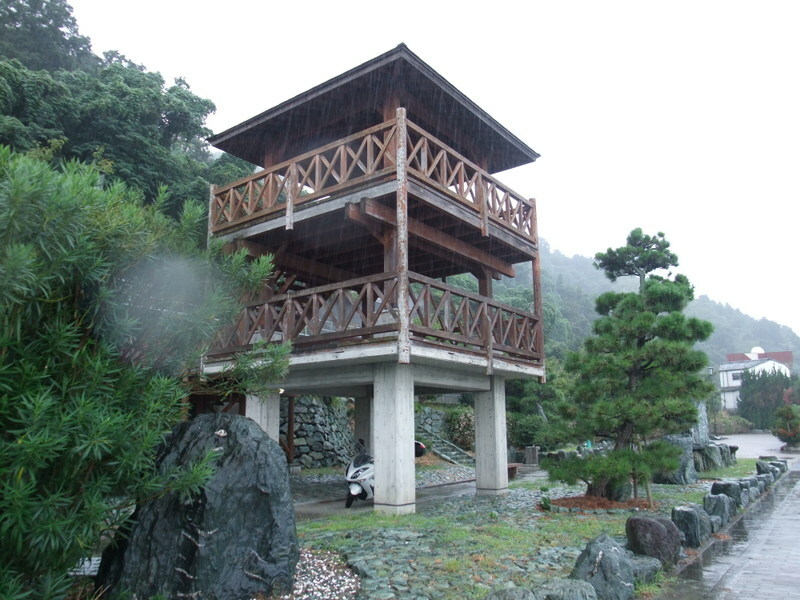 The Japanese title of the movie is "潮風のいたずら", which means "a mischief of the sea breeze". "Overboard" and "a mischief of the sea breeze" are the titles of the same movie. I couldn't connect both concepts or bridge the gap. Anyway, I tried to watch the movie. The conclusion; it was great and I really enjoyed it. I like this kind of movie. It soothes me, relaxes me and makes me feel happy. Murder and horror movies aren't my cup of tea. The main character, Goldie Hawn, is one of my favorite actresses. Her smiling and helpless look has captivated me for a long time. The topic is the title of a movie. 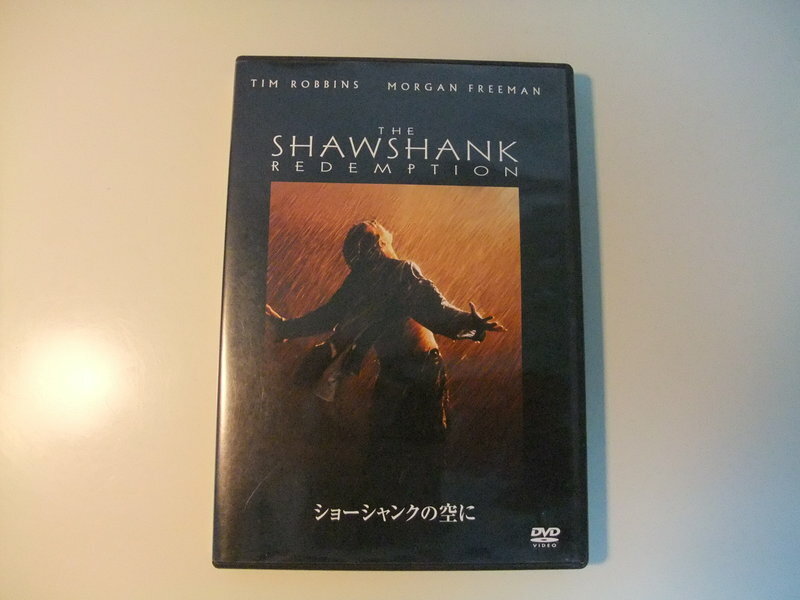 I was interested in the word "redemption". It was the second time that I had come across this word. You can see a paper bag in the picture. 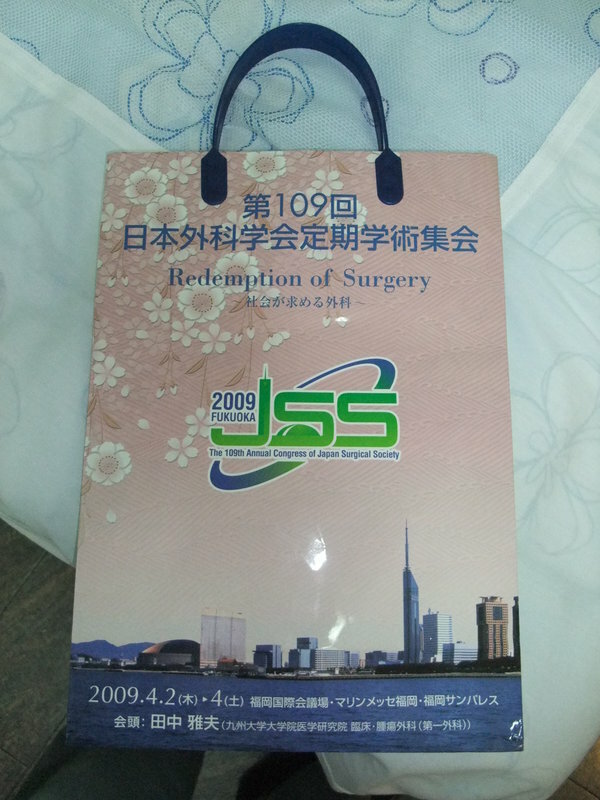 It was delivered at the 109th annual congress of the Japanese Surgical Society. The word "redemption" was printed on the bag. I looked it up in the dictionary and felt something weird. I didn't know whether it was used properly, though it was printed on the official bags as a catchphrase of the assembly and I thought that it must have been correct. However, after watching the movie, I'm wondering if this word isn't correct. I watched two DVDs last weekend. 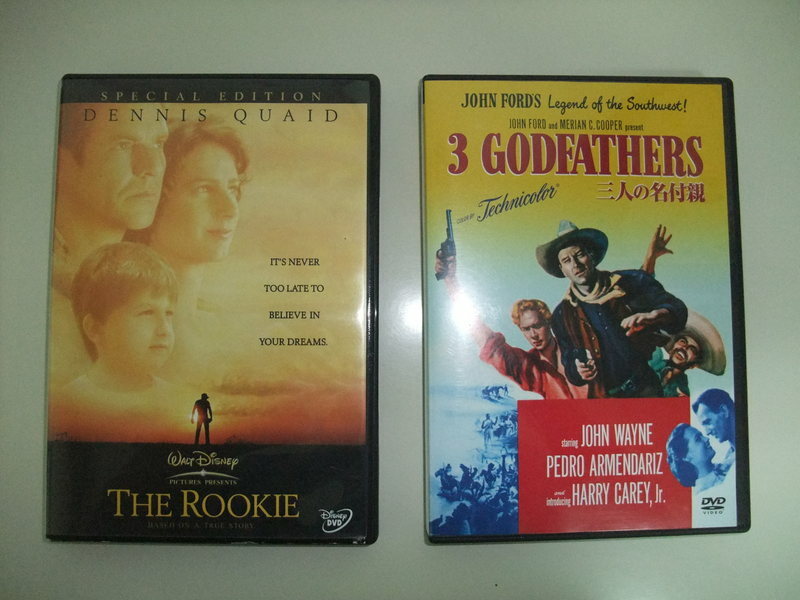 One of them was, "The Rookie", which is based on a true story. It is the story of a man who gave up his dream once due to an injury to his shoulder, but restarted and achieved it. I like this kind of movie. It encourages me. I watched its climax scene in tears. I will enjoy this movie again later. The other movie was, "3 Godfathers", starring John Wayne and presented by John Ford. The casting couldn't be better, but my impression was not good. Particularly, the story of the last ten minutes was weird. I couldn't follow it. However, I was deeply impressed that this movie was made in 1948. Do you know what had happened in the Far East around 1948? The separation of North and South Korea got definite and the Jeju massacre happened in the Korean southern island of Jeju under the occupation of the U.S. The conflict between Chinese communist party and Chinese Nationalist Party was beginning to get fierce. At this time, such a movie was being produced in the U.S. What a difference of the level of the cultures between them! It must have been reckless for Japan to wage the war against the U.S., but I also admire the then leaders of Japan, who were really devoted to their mother country so as to make Japan survive in the world. 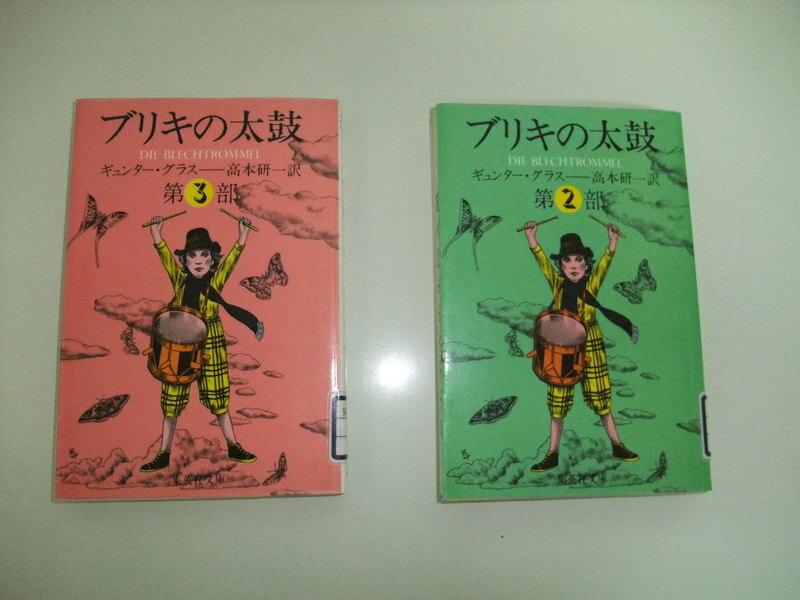 I read through the Japanese translation of "Die Blechtrommel" and "Beim Haeuten Der Zwiebel", which were authored by Günter Grass, who is a Nobel laureate in literature. I know that he has been under fire due to his career. He revealed recently that he used to be a member of Schutzstaffel (Nazi's SS) in his autobiography of "Beim Haeuten Der Zwiebel". I didn't enjoy either. I wonder how the Nobel laureate in literature is decided. It feels like the decision is lacking in objectivity. In the case of the Peace Prize, people can judge the achievement of the laureate and express their opinions like it's ok or not. It's rare that somebody plots to put a con on people and win the Nobel Peace Prize, committing big money to something just like former South Korean president Kim Dae-jung (金大中). I think that people can't know the reason why he or she was awarded the Nobel Prize in Literature. Every language has its own beautiful expressions and verses. The referees would never be able to handle many languages at the same time. Consequently, the standard of judgement would be the story or the context of the work. I wondered why he received the Prize. The story of "Die Blechtrommel" was weird and unbelievable. According to his profession, some people accused him and insisted that he should pass up the Nobel Prize. I believe that the Nobel Prize in Literature makes no sense. While I was looking for some words in the dictionary the other day, writing the entry, "Gomorrah", I found "Roman Holiday" by chance. As most subscribers of this blog know, it is the title of the noted movie, starring Gregory Peck and Audrey Hepburn, but I didn't miss another meaning written on the page. You don't believe it, but "Roman holiday" also stands for a savage show. In the era when Rome was the center of the world, the biggest fun of the Roman people seems to have been to see the fight between slave soldiers and lions at the stadium on holidays. This fight must have been fun for Roman people, but what do you think it was for the soldiers? They had to put their life in danger or probably were often critically injured. They must have wanted to avoid it. I imagine that the show that was conducted every holiday was a big nuisance for the soldiers. Consequently, "Roman holiday" got to have the meaning of nuisance, I suspect. Come to think of the movie, the title is translated word for word into Japanese. I wonder if this translation is right or not. Should it have been translated into "Scandalous Princess" or "A Nuisance in Rome" or something in Japanese. At the same time, I thought that native speakers with an academic background would know the nuance and could enjoy the movie more. 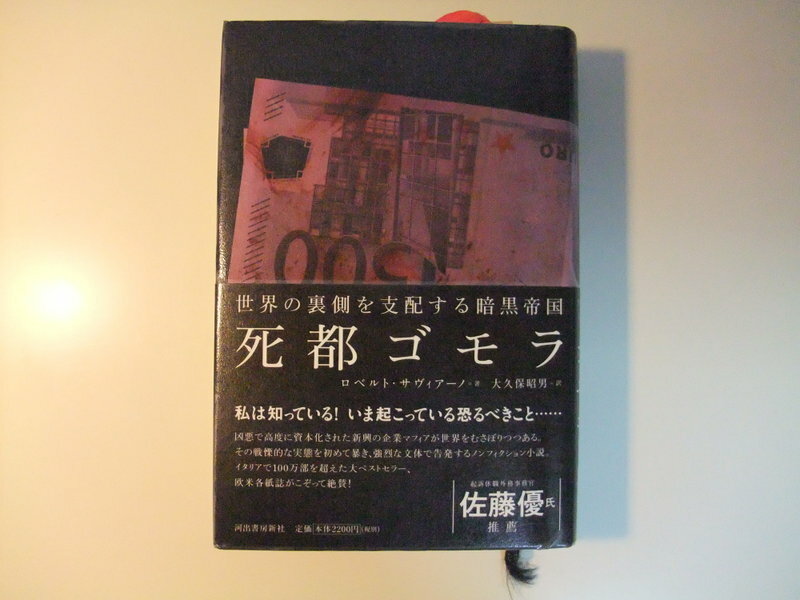 I read the Japanese translation of an Italian book of this title, which handled the dark side of Italian society. I'm not going to explain Gomorrah here in detail because I think you know all about it. Gomorrah, along with Sodom, are known as the cities of "Sin" in the Old Testament. In this book Gomorrah implies the Italian city of Naples. I got really scared of the Italian mafia after reading this book. Firstly I wondered if the content was actually real because their conduct was unbelievably savage and cruel, but I remembered that a few incidents in the book had been reported by some media before. The content of this book must be correct. Naples is said to be beautiful and one of the places I want to visit. Do you know the proverb, "see Naples and die"? Besides, this city is the base for sightseeing Mount Vesuvius and Pompeii. I've thought that I'd like to visit there some day for a long time, but now I don't want to go there at all. Rome or Italy used to be the center of the world. There are lots of brilliant ruins across the country. They also used to be the epicenter of the arts and other technologies. Why did this traditional country become unsafe. The author seems to have been attacked by the Mafia and seriously injured. I don't know his present condition, but I wish for his complete recovery. Across the road from my house is set as the waste collection spot. When I say so, you might feel the space is somewhere dirty, or that I hate this situation. 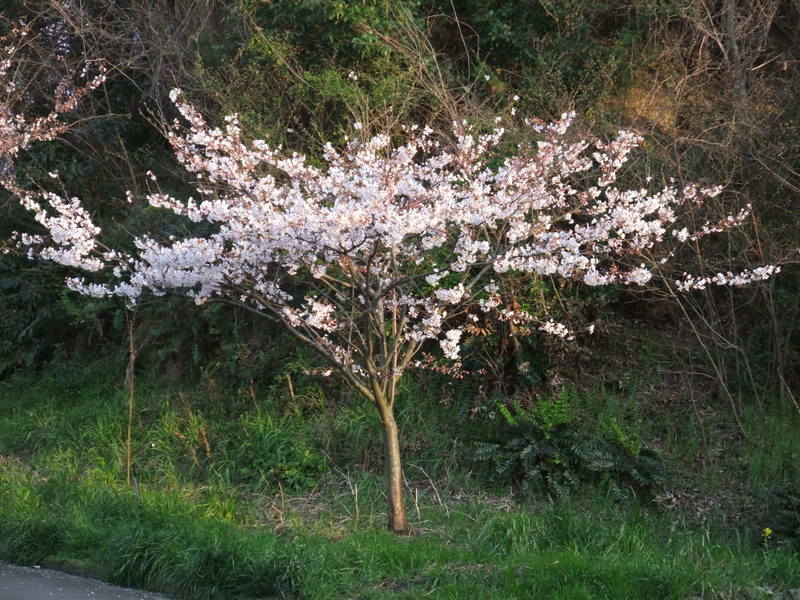 In fact, however, the waste site is always kept clean by neighbors, and besides now, the cherry trees are starting to come into bloom. I go to work every morning seeing these trees in this season. Season changing reminds me of the flow of time and encourages me to do work or something enjoyable more often, because I feel it tells me the rest of life is getting short. Life is wonderful, I really think so. 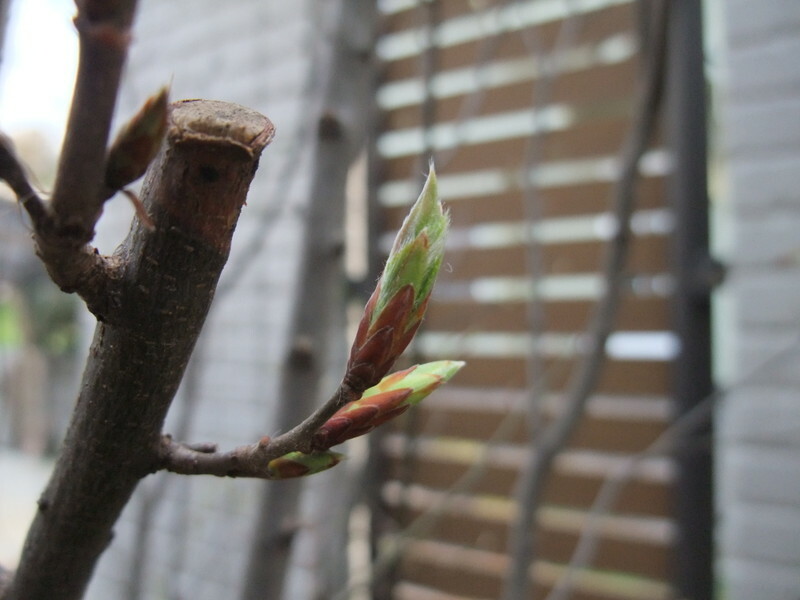 The second picture is the swollen buds of the inushide (Carpinus tschonoskii) in my garden. Spring looks like it's coming to my house, too. As it gets warmer, this small garden would be a good space for parties. 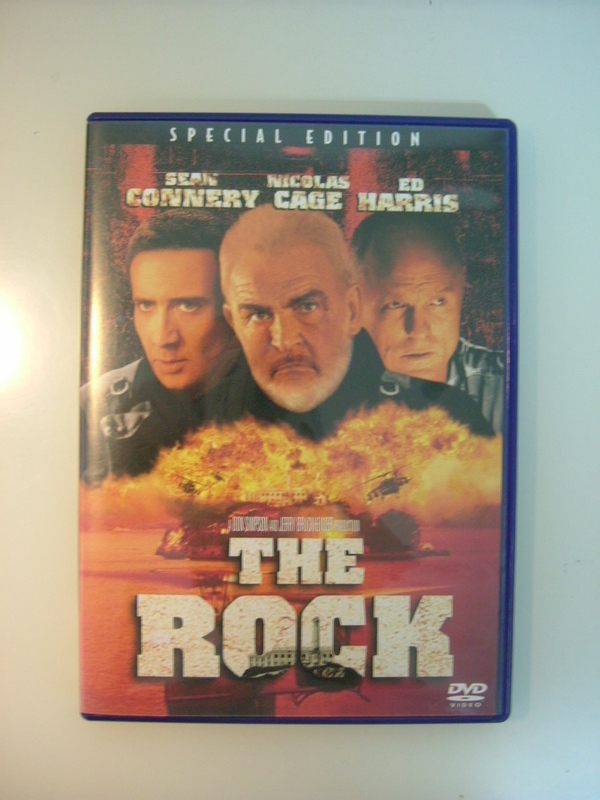 I watched a movie on DVD, "The Rock", starring Sean Connery, Nicolas Cage and Ed Harris. A few dozens of angry marine soldiers who are led by a hero in The Vietnam War seize Alcatraz Island and 81 tourists. The soldiers are discontented with the U.S. top officials. The FBI dispatches a battery of SEAL and an inmate, Sean Connery, who used to be kept in the prison on the island, also an FBI agent, Nicolas Cage, who is just a chemist and works in the FBI laboratory. Sean was meant to be a mere guide of the underground secret tunnels and Nicolas was going to neutralize the enemy's chemical weapons. These two weren't supposed to use the weapons. However, all SEAL members are killed by an enemy trap which meant that Sean and Nicolas had to fight with the professional soldiers. As the story goes on, Nicolas gradually realizes that Sean is handy with every kind of weapon. At that time, I was thinking, "Oh, he used to be the British Agent 007". Needless to say, I'm joking. But, exactly at that point in the movie, Sean said, "I was trained by the best. British Intelligence." I couldn't help laughing. Is this movie a comedy or a serious one? Anyway, I like Sean's pronunciation. His tone of voice is clear and electrifying. I think it's a useful listening exercise for me. I enjoyed this movie to my heart's content. The title, "Risutora" means "corporate downsizing" in Japanese and it is from the Japanese pronunciation of "restructuring." Massive job cuts are under way in Japan as well as in the U.S. and the financial crisis is awfully serious. The other day I watched a movie, "Mad City", starring Dustin Hoffman and John Travolta, focusing on unreasonable firing. In the movie, Sam, whom John is playing, is axed and goes to the library which he used to work in for more than 5 years to have a talk with his former boss. He didn't accept his layoff and wanted the backing off of his pink slip. That's it. That should be it. However, Sam unexpectedly ended up shooting his colleague on accident and holding children hostage in the library. This originally little incident gets bigger and gets to be watched from all over the U.S. 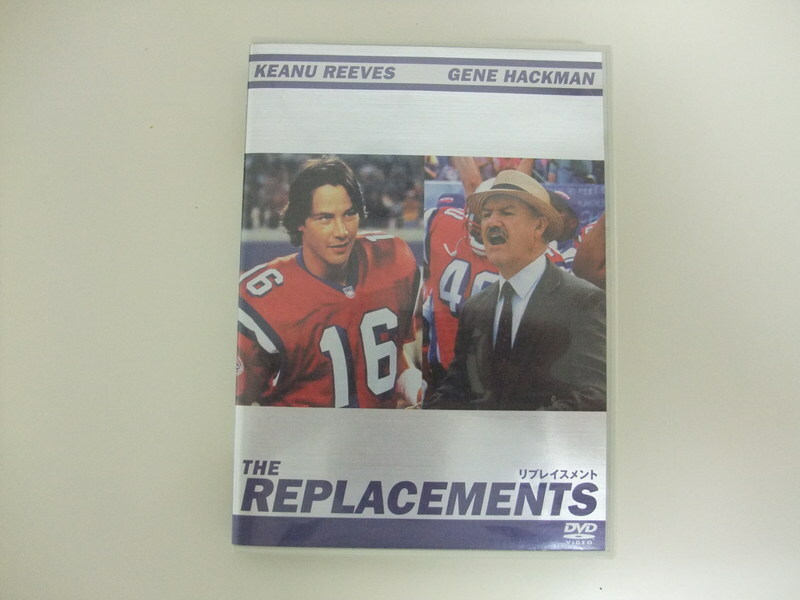 This movie climax with the news that his colleague, whom Sam shot, made a sudden change and died in the hospital. I know for a fact that this story is fiction, but it might happen in present Japan. I felt how heavy and serious the responsibility of the government is. I wish that one of the world leaders, Mr Barack Hussein Obama will do a good job. However, his inauguration address sounded to be lacking in concrete plans and it was just idealistic. I'm wondering if he can do it, a man who conceded his own second name, "Hussein", during the presidential race. The last big news of 2008 would be the fierce fight in the Gaza Strip. I'll show you my personal perspective about Japan as the first writing of the year 2009. The U.S. and USSR (or Russia) that have never waged all-out war against each other because of both having nuclear weapons. If both countries opened hostilities without nuclear weapons, could Russia wage a fearlessly as courageous battle as Japan had done against the U.S. The U.S. vs. Russia, China vs. the U.S. and China vs. Russia: They have never gotten into an all-out fight, though small regional fights might happen. It has been Japan only that engaged in total warfare face to face with these countries and chilled the heart of them, which had been acknowledged as superpowers since before Meiji Restoration (1868). Japan, that has developed to the second highest GDP country, following the U.S. in only half a century after being burned to the ground in the Greater East Asian War. Japan, that has potential to be able to build up nuclear weapons or aircraft carrier fleets in a short period of time once it is determined to do so. The country that the U.S., Russia and China fear in a true sense. Might it be Japan?